Conan the Barbarian might be stuck in development hell for his return to the big screen, but the character is making his way back to video games with the newly-announced Conan Exiles. 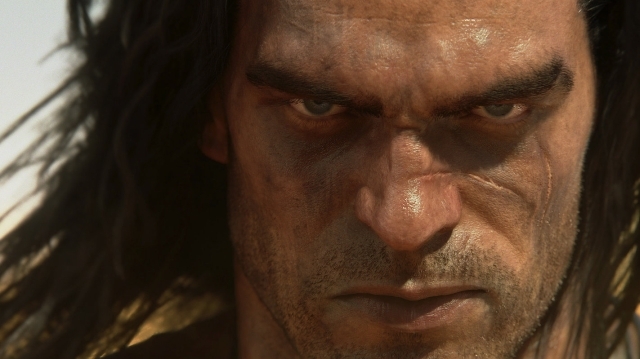 Funcom, which previously developed the MMO RPG Age of Conan: Unchained, have debuted the announcement trailer for Conan Exiles, an open-world survival game putting players in the harshest environment and situations. In the game, you are an exile, one of thousands cast out to fend for themselves in a barbaric wasteland swept by terrible sandstorms and besieged on every side by enemies. Here you must fight to survive, build and dominate. Hungry, thirsty and alone, your very first battle is that against the harsh environment. Grow crops or hunt animals for food. Harvest resources to build weapons and tools. Build a shelter to survive. Ride across a vast world and explore alone, or band together with other players to build entire settlements and strongholds to withstand fierce invasions. When strong enough, march forth into battle and wage war against your enemies as you fight to dominate the exiled lands. Sacrifice enemy players on the altars of the gods and shift the balance of power your way. Unleash your fury in savage, fast-paced combat and execute bloody and bone-crushing attacks that will see heads rolling and limbs flying. Conan Exiles will begin early access on PC this summer with a full PC and console released to follow.